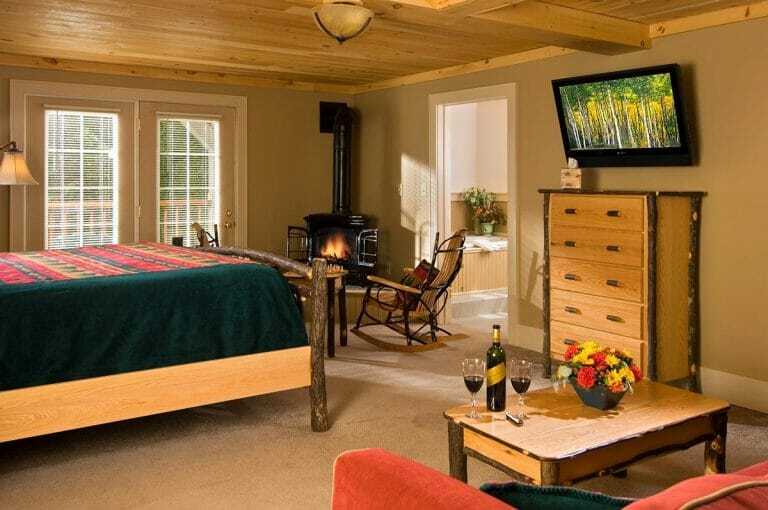 Luxury King Room with King-Size Bed, Fireplace & Jacuzzi Near Gore Mtn. Our most luxurious room with king-size bed, fireplace and jaccuzzi. TV, WiFi and Refrigerator. A removable platform bed offers extra sleeping. Perfect for honeymoons, anniversaries, special occasions or no occasion at all! A walk out back porch. These rooms may connect with Rooms 5 and 10 – perfect for a family suite! Maximum 4 persons. Optional ski packages available.